At least 809 people have now died in what some news outlets and government agencies are calling the worst natural disaster in Brazil’s history. Following unusually persistent rain in early January and an extreme rainfall event on January 11-12, large swaths of the Brazilian states of Sao Paolo, Rio de Janeiro, and Santa Catarina were devastated by mud sliding off the soaked hills and by rivers overflowing or carving up their soft banks. 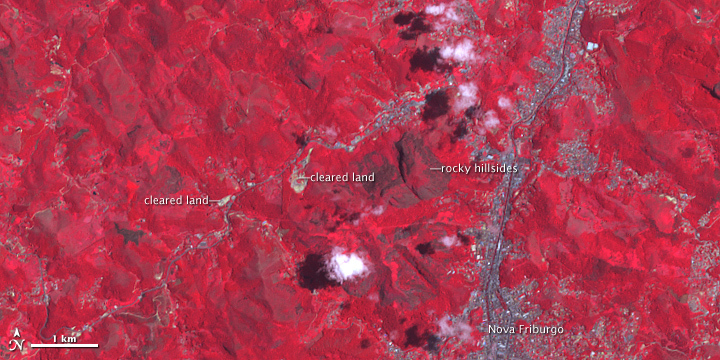 After weeks of cloud cover, the Advanced Spaceborne Thermal Emission and Reflection Radiometer (ASTER) on NASA’s Terra satellite finally collected the top image of the mountainous region northeast of Rio de Janeiro on January 18, 2011. The lower image was taken by the same instrument on February 13, 2003. 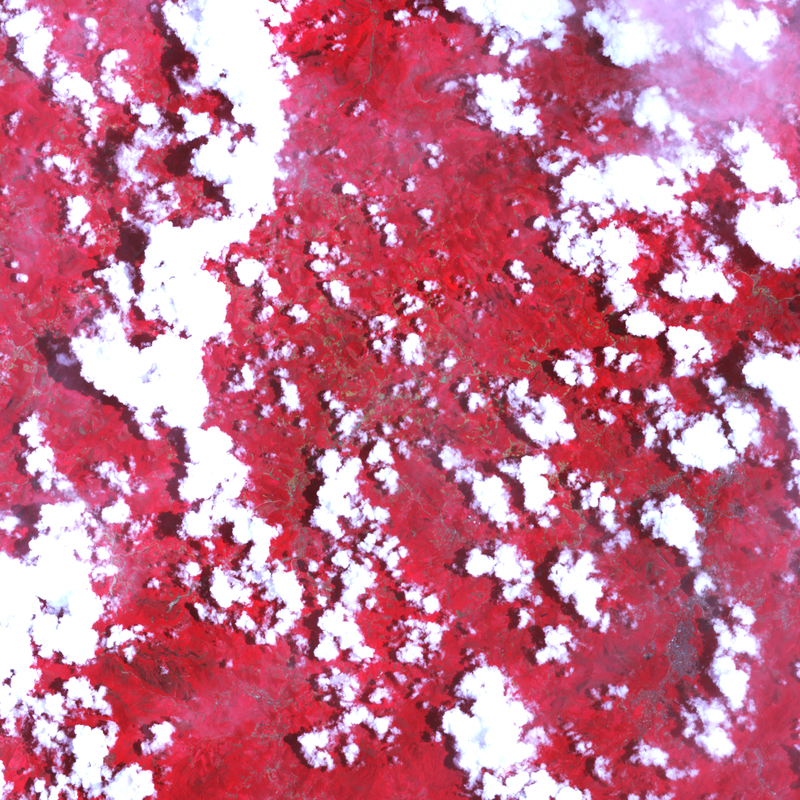 In this near-infrared image, vegetation-covered land appears red, concrete and building materials appear gray, clouds are white, and bare land tends to be sandy brown (though some exposed rock surfaces appear much darker). A comparison of the 2011 and 2003 images, combined with news and scientific accounts, reveals the likely tracks of light-brown mudslides marked in the image above. On January 12, roughly a month’s worth of rain—26 centimeters (10 inches)—fell in less than 24 hours in several parts of the Serra do Mar mountains. The town of Nova Friburgo, at the bottom right edge of this image, lost at least 389 people in the ensuing mudslides and flash floods, while nearby Teresopolis lost 324. More than 400 people are missing, and tens of thousands have either lost or suffered damage to their homes. The flood waters have since rushed south toward the cities of Sao Paolo and Rio de Janeiro. According to Reuters and based on United Nations data, the event is the second-worst loss of human life in Brazil’s history, behind a 1974 meningitis outbreak that killed 1,500 people. 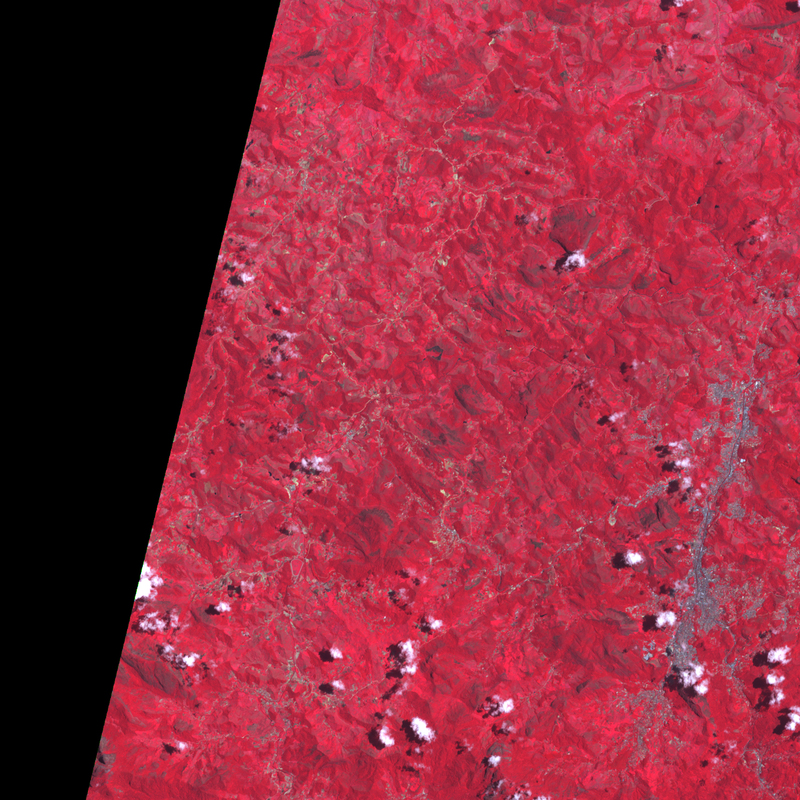 NASA Earth Observatory image created by Jesse Allen and Robert Simmon, using data provided courtesy of NASA/GSFC/METI/ERSDAC/JAROS, and U.S./Japan ASTER Science Team. Caption by Mike Carlowicz, with reporting from Dalia Kirschbaum. 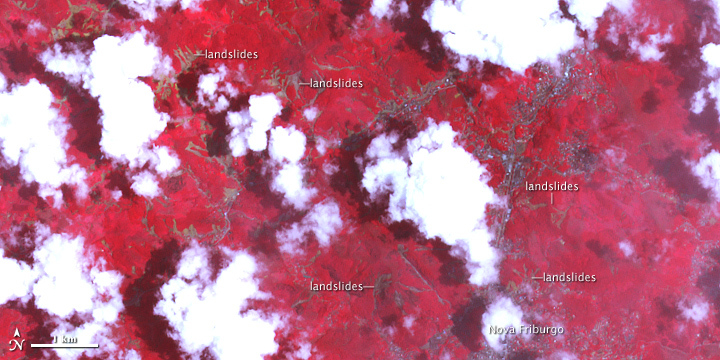 After weeks of cloud cover, the ASTER instrument on Terra satellite collected this image of the mudslide-riven Serrana region of Brazil on January 18, 2011. Following extreme rainfall in early January 2011, the Serrana region of southeastern Brazil suffered devastation mudslides and floods. BBC (2011, January 13) Brazil flood and mudslide deaths rise as rescue goes on. Accessed January 24, 2011. CNN (2011, January 24) Death toll from flooding in Brazil surpasses 800. Accessed January 24, 2011. 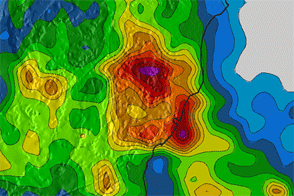 NASA Tropical Rainfall Measuring Mission (n.d.) Potential Landslide Areas. Accessed January 24, 2011. ReliefWeb (2011, January 23). Brazil's landslide death toll reaches 803 - report. Accessed January 24, 2011. Voice of America News (2011, January 22). Brazil Flood, Mudslide Death Toll Hits 787 Accessed January 24, 2011.